Irrigation Imperium Ltd. is an experienced irrigation contractor specializing in servicing and installation of underground residential and commercial sprinkler systems. We serve all communities in Edmonton and the surrounding area. We pride ourselves in providing great professional service and exceptional face-to-face customer relations. Our mission is to provide reliable and good quality service to customers looking for a residential or commercial sprinkler system. The technologies in the irrigation industry are continuously changing and we are up to date with what is being offered in the industry. Irrigation Imperium believes in designing systems with the most water efficient and high quality parts while achieving cost effective solutions in the short and long-term. We are licensed with the City of Edmonton and the Alberta Government and fully insured with liability coverage and WCB. 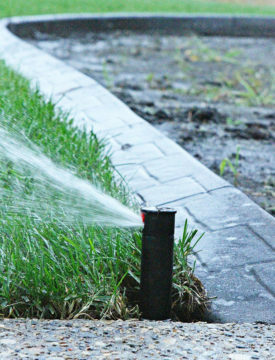 For more information on our company and experience, call Irrigation Imperium at (780)-800-4407. Copyright © 2018 Irrigation Imperium All Rights Reserved.